For his paper, Professor Arnason received a gift from a local artist. 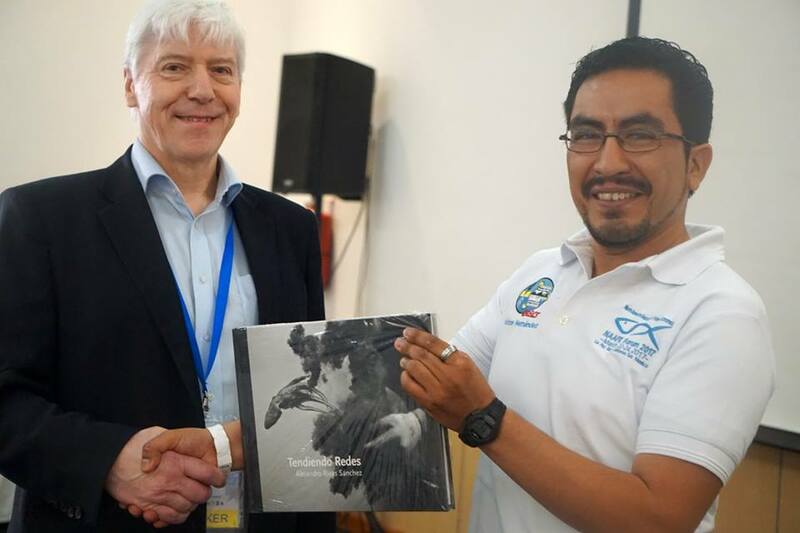 Professor Ragnar Arnason, Chairman of RNH Academic Council, was the keynote speaker at the conference of North American Association of Fisheries Economists in La Paz in Baja California in Mexico 22–24 March 2017. His paper was called “Catch shares: Potential for Optimal Use of Marine Resources.” More and More nations are introducing systems of transferable and permanent catch shares in their fisheries. The Icelandic system of individual transferable quotas is an example. Professor Arnason will also be a keynote speaker at the conference of the European Association of Fisheries Economists at Dublin Castle in Ireland 25–27 April where he will speak about “Fishing Rights”, private use rights or even property rights to marine resources. Arnason wrote, with two co-authors, a much-discussed report for FAO and the World Bank, The Sunken Billions, about the enormous waste in international fisheries, brought about by more or less open access to the fish stocks instead of limiting their utilisation to holders of rights to do so. Arnason is, with Professor Thrainn Eggertsson, the best-known Icelandic economist internationally.